The Russian Revolution of 1905 was comprised of many groups of people working together with different end goals, like peasants, workers, and intelligentsia. Most of these factions had one thing in common—they were exhausted by the tyrannical tsarist regime. Prior to 1906, Russian rulers would not do so much as recognize a body of law that could not be overturned by their will and their will alone. This was simply unacceptable in the minds of the revolutionaries who fought against it. One of these groups, the Peasant Union, was formed in July with explicit agrarian objectives: to transfer the gentry land to those who cultivated it, to do away with redemption fees and rental payments that many peasants had already overdrawn on, an increase of wages of agricultural workers, and nationalization of all land. According to many peasants, the land belonged to God, not to any particular person, and therefore it enriched the entire country. In 1905, national political unrest was rampant. To start, the Russian troops were away fighting in the Russo-Japanese war. Another trigger in the fall, September in particular, was the end of the peasant harvest season. The October Manifesto also set off many peasants soon after. This manifesto granted all Russian subjects civil and political rights. However, many peasants took this one step further and thought it meant that they could take control of gentry land, therefore numerous lootings, gentry land-seizures, and destruction of gentry property took place that fall, from September through November. This movement represented the first time the peasant masses (rural farm-workers, mostly) were able to band together collectively to create social change. As a result of the Revolution, many of the objectives the Peasant Union had been fighting for were granted: overdrawn redemption payments were cancelled; rental fees for land were lowered; and in many cases, wages were raised slightly. In addition to the Revolution, the 1905 creation of the Peasant Union itself meant a great deal for the peasant class in Russia. Through (sometimes) disciplined efforts and organization, the class was able to band together to achieve some of its original goals. In addition to this, they were able to work together with other classes and fight for their rights as Russian subjects. The Octobrist party was also a supporter of peasant rights, as they wanted a more unified, peaceful Russia. This was a time of great change in the social structure of the country, and much of this can be owed to the October Manifesto and the Revolution. The Octobrists definitely wanted a more unified Russia, but they were much less radical than the Peasant Union. The Octobrists definitely wanted national unity, but check back on their perspective on the Peasant Union. I really like how you discussed the Peasantry involvement in one particular year, rather in a time period which can be more general. I find it interesting how the peasantry essentially decided on their own what the October Manifest said and was about, and how that misinterpretation allowed them to form a fairly united body of peasants. It seems this period was all about forming groups and being organized, so I am interested to see what became of the Peasant Union after this point. I agree with Jimmy that the peasants’ sense of justice and long-standing grievances led them to an interpretation of the October Manifesto that differed from other groups. Some good sources for this post! When you cite from JSTOR (of one of the other databases, it’s easy to include all of the information about the article (title and DOI). The peasant involvement in the 1905 Revolution is interesting because their unification contradicts what many Russians thought of the peasant class in the years since the great reforms. Many thought of the peasants as an unorganized, uneducated, and immoral lot. The reformers sought to control the peasantry by keeping them tied to their local lands and communities. The terrible conditions of land-hunger and massive debt obviously caused unrest within the peasantry, and I see the 1905 Revolution as the peasantry fulfilling the prophecies of the Russian populists. Finally, the peasants realized the power that they held collectively and decided to take action to better their lot in life. 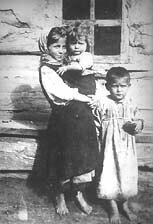 The russian government paid for the mistakes that they made in the 1870’s with a unified peasantry in the early 1900’s.